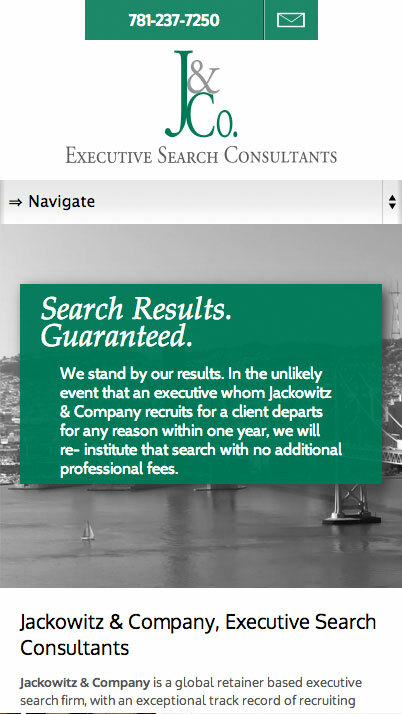 Jackowitz & Co. is one of the top executive search firms in the country. 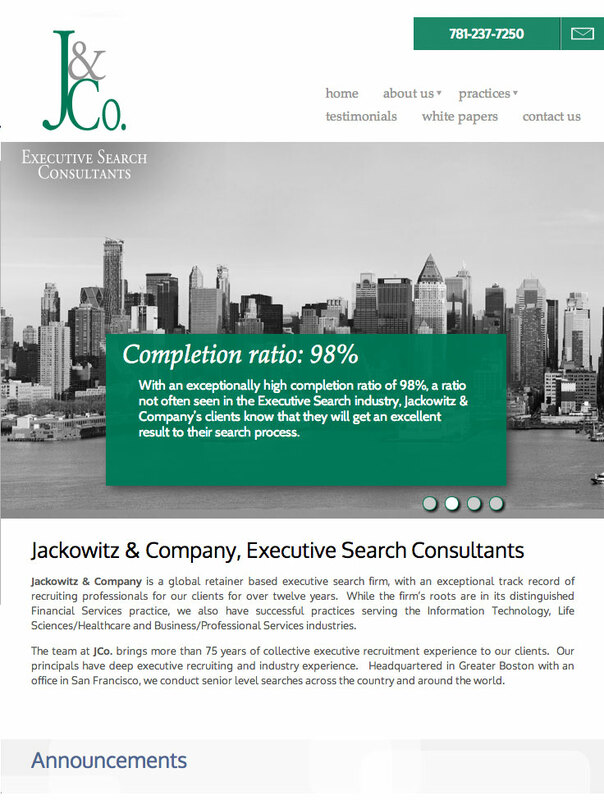 This site is a great example of a profesional and clean look, that helps covey the spirit of the company. We implemented a white paper feature that requires the viewer to first sign up for the mailing list before having full access to the articles. This feature generates a mailing list of potential customers that allows the company to effectively use email marketing techniques while at the same time providing useful information to its clients via its website. 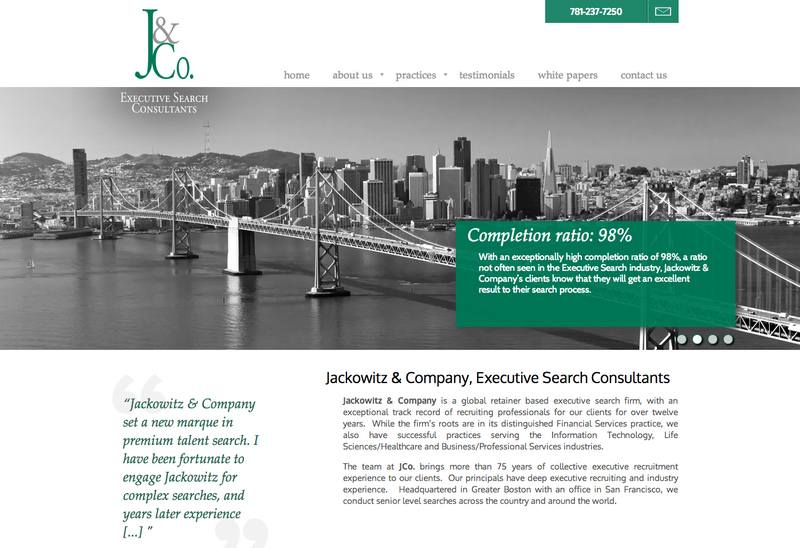 Visit this Boston Executive Search Firm website.